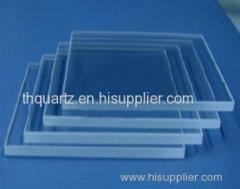 Quartz plate is formed as a result of the high viscosity of the melt due to the high temperature. For the production of semiconductors, electric light, a semiconductor communications devices, lasers, optical instruments, laboratory equipment, electrical equipment, medical equipment, and high-temperature corrosion-resistant chemical equipment, chemicals, electronics, metallurgy, building materials and other industrial and defense applications very extensive. High precision quartz plates Donghai County, Jiangsu long quartz technology of production, no bubbles, smooth surface, corrosion resistance, good transparency, especially for optical, electronic, chemical, military, and other optical instruments observation window window.